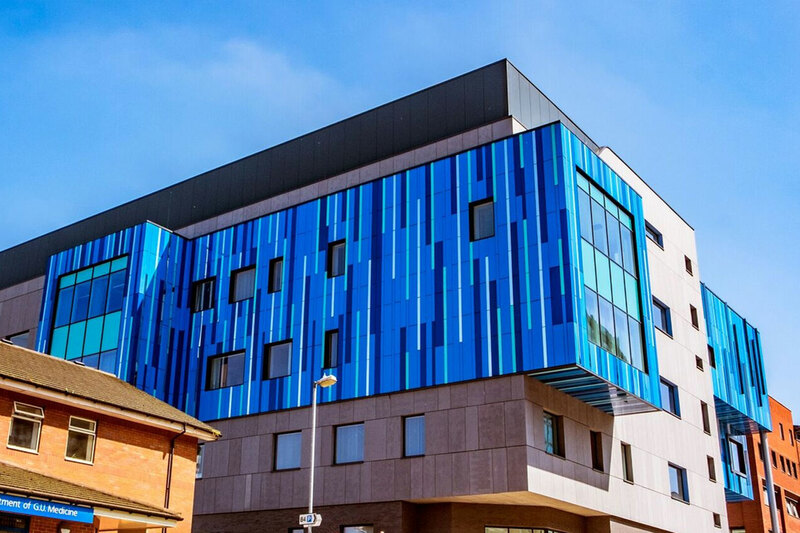 The new building specialising in New Cancer & Rare Disease at Birmingham Children’s Hospital is home to three new operating theatres and links directly to the iconic Victorian building of the hospital. 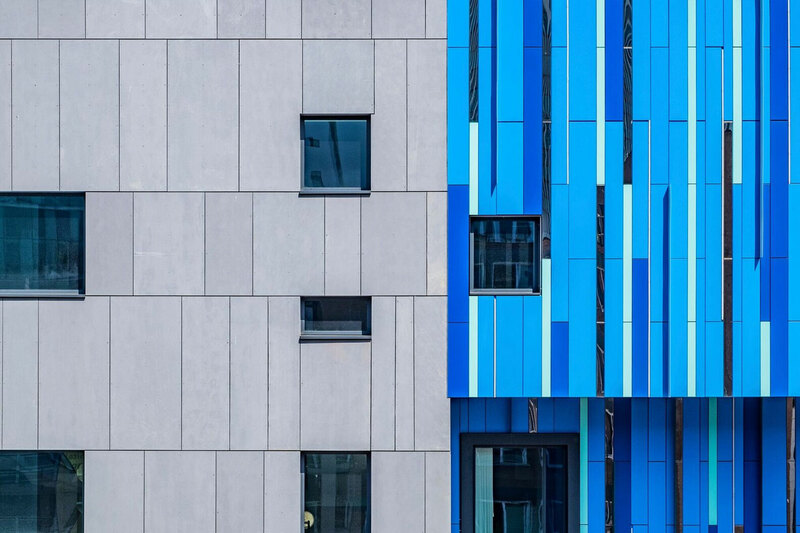 The most striking aspect of the building is the intricately designed Sotech Optima PPC plank rainscreen cladding that Sage were responsible for installing. 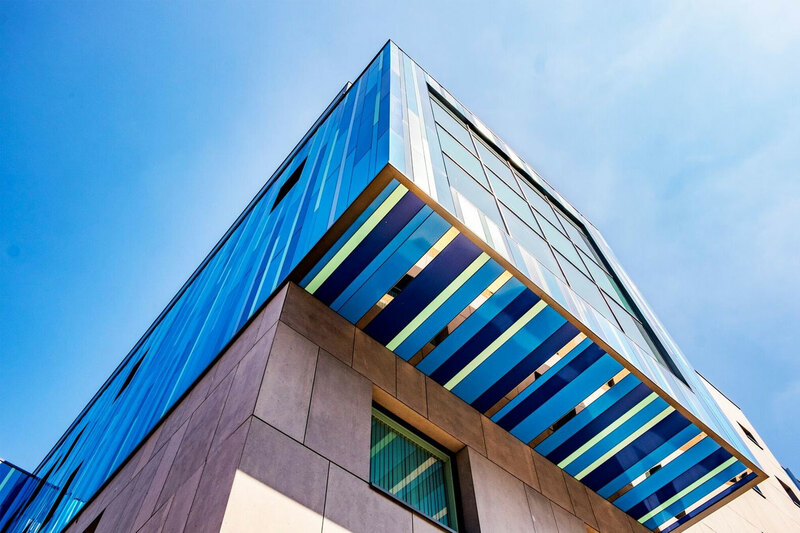 The panels are secretly fixed onto the aluminium support, enabling them to seamlessly protrude from the exterior of the building. This exterior cladding in Birmingham, West Midlands is even more impressive at night with various panels back lit with LED lighting to create a striking display. 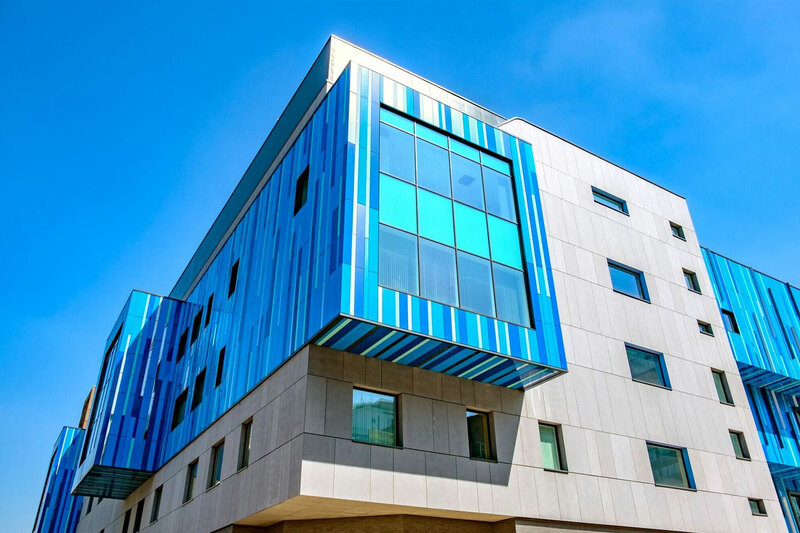 Marley Eternit Tectiva fibrous cement rainscreen, Sotech PPC aluminium and stainless steel plank rainscreen, Kingspan RW and PL plant rooms and staircases, Sarnafil single ply with Tata decking.